OPTIMA’s RigCooling® System suppresses heat radiation generated by hydrocarbon flaring during well test operations. The RigCooling System comprises electrical submersible pumps that lift seawater to deck level, diesel booster pumps for water distribution to strategically positioned nozzle strings, diverter manifolds, control valves, S/S pipe work, hard wall hose strings and patented Targe Nozzles designed to discharge optimum water spray for heat radiation absorption. 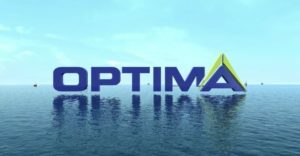 OPTIMA’s systems are customized to our client’s specific needs and include a site survey where all relevant technical data is gathered and specific issues are discussed with key installation personnel. Heat radiation modelling and 3-D analysis is carried out based on well characteristics and flaring parameters. Our experienced design team provides the right, tailored Cooling Solution for our client’s needs and application, whether it is a small air-freighted are boom package or a high-volume, twin-pump system for a platform.